Get rid of outdated workflows, benefit from our long-standing expertise in service management service and business software, and let us guide you on your way into the future. We offer you advice on commercial software solutions and customer service software. We offer on-site training courses for you and your employees as well as assistance with the implementation. Allow us to develop your individual solution and face your challenges together. 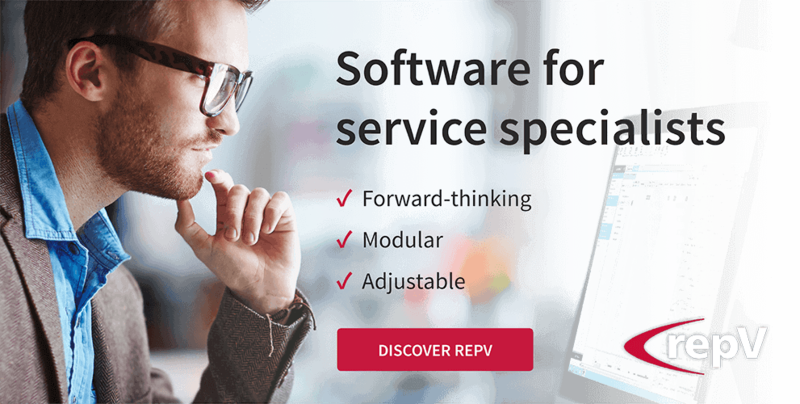 The name repV derives from the German term "Reparaturverwaltung" (repair management). This software was first developed when automated process workflows were still in their infancy. Since then, we have gained considerable experience which we invest into our products. Our in-house service management software solutions take the quality and profitability of your services to a whole new level and keep you up to date at all times. Flawless expansion, profitable management, and automated business processes. We assist you in making the right decisions for your business and provide you with a customised solution from our partners. 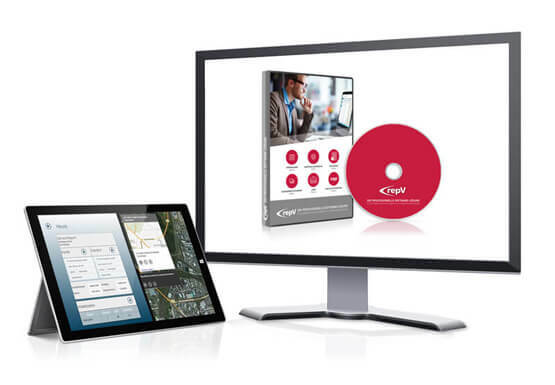 An affordable, complete software solution specifically developed for medium-sized enterprises and particularly easy to implement. An ERP software solution for everyone who wants to keep control of their business.